In a republican democracy such as Guatemala, this institution holds power without having been elected; it is unchecked, accountable to no one, has a hidden agenda, and only needs to launch an accusation for everyone to surrender and kneel at its feet. One by one, it has dismantled every group that could offer checks and balances. Those left standing applaud its every move and have become cheering fans, confident that it will not turn against them as well. 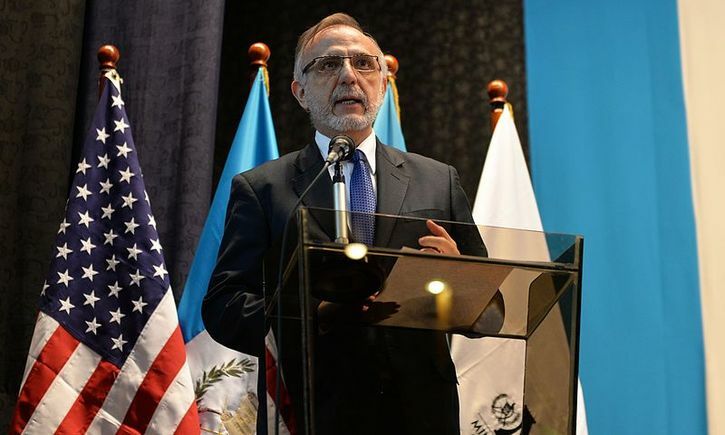 A few months ago, Guatemalan political analyst Gustavo Porras published an article denouncing the new “government of judges.” Many of us agreed with him at the time, but he was wrong. Guatemala is actually ruled by the CICIG, before whom all tremble and rush to obey. Everybody knows when, where, and how the CICIG began to amass power. Nobody knows, however, how it might end. Perhaps Iván Velásquez, the Colombian attorney appointed by the United Nations as the CICIG commissioner, has an idea of the objective he is pursuing, the final goal. If he does not envision an end state of affairs—the result he is seeking—it would entail that he is simply destroying without planning to build something else in its place. Velásquez goes about wreaking havoc, amputating fingers, hands, feet, and legs, regardless of how the body will end up or survive. It isn’t enough to postulate an abstract vision such as “eradicating corruption” or “transforming institutions.” If he does indeed know what he wants and where he’s going, this also has consequences. It means building a state to the fancy of Don Iván, and we have to trust that he knows how to sculpt Guatemala as she should be. By creating power vacuums and concentrating so much of them, the CICIG is falling into a trap: the delusion of omniscience, infallibility, arrogance, intolerance, abuse, intimidation, and willingness to do anything to hold onto power. Whoever dares to question will be accused of corruption, in the spirit of a Salem or McCarthyist witch hunt. If things are to go on as they have, this will surely be the scenario. A few months ago, Velásquez pontificated that businessmen should ask for forgiveness, and they have done so. The executive, the judiciary, the legislature, the army, the business chambers, and political parties are all in check. The CICIG has beaten them all and is the indisputable power. Be careful to oppose it lest you run the risk of landing in jail, where—if you’re lucky—you’ll spend at least four or five years while your situation is sorted out. Your assets will be forfeited, and the state will not have to prove your guilt beyond a reasonable doubt. Rather, you will have the burden of proving your innocence. The CICIG giveth and the CICIG taketh away, while manipulating public opinion. Since President Jimmy Morales took office, the CICIG has decided that he is guilty of something and has been looking for a crime to bring him down. If the CICIG topples Morales, then what? How long would Vice President Jafeth Cabrera last? Will his unconditional allegiance to the UN agency be enough for him to survive? When Jafeth falls, then what? With so much destruction, what will be left to build from? Answering these questions is important because it means knowing where we’re going as a country. If the CICIG and Velásquez know, they should share it with the Guatemalan people. Fritz Thomas is a professor of economics at Francisco Marroquín University, Guatemala City. A version of this article was originally published in Spanish by Prensa Libre.